Treatment for skin laxity due to aging, pregnancy or substantial weight loss. 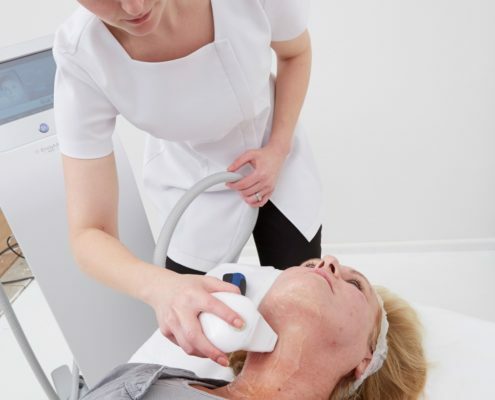 Skin tightening can occur to some extent as a by-product of another treatment, for instance body contouring treatment is focused on the breakdown of fat cells but is often accompanied by some skin tightening. The main treatments used within Cosmex Clinic for skin tightening are Hi-Fu and Radio Frequency or Radio Frequency plus microneedling. At Cosmex clinic we tend to combine the effects of Hi-Fu and basic RF in order to obtain the optimum short and longer term result. During your consultation, we will discuss with you which treatment or combination of treatments is best for your needs. 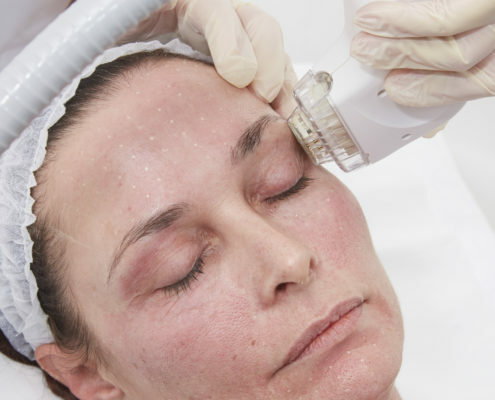 Radio Frequency or Endymed 3 deep, treatment has the advantage that it produces instant skin tightening through the bulk heating of the skin. It is therefore the first choice if the patient is going to a special event and simply wants to look their best for that week. A course of RF is usually less effective than Hi-Fu in the longer term. 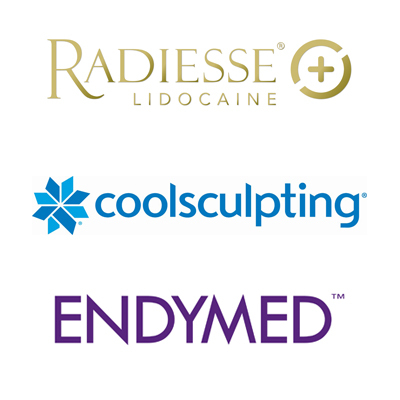 An alternative to basic RF is RF combined with microneedling otherwise known as Endymed Intensif. 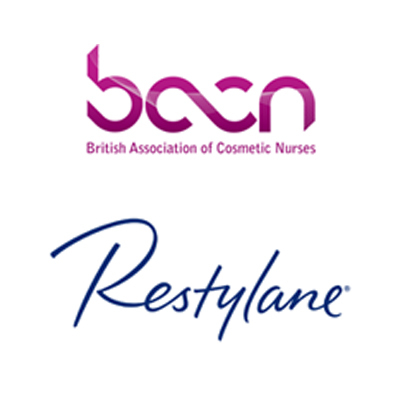 This combination will enable skin texture and surface scarring to be addressed at the same time. In general it is not used to penetrate to the SMAS and is therefore not normally considered to be as effective as Hi-Fu for long term skin tightening. Hi-Fu/SkinTyte produces a medium-term result that typically lasts 12 to 18 months. The drawback of Hi-Fu is that since it works by generating new collagen it can take up to 2-3 months before the full effect of the treatment can be seen. It is also less comfortable than basic RF as a treatment. Its advantages compared to RF with Microneedling is that the ultrasound waves pass through the skin without affecting the skin surface and Hi-Fu is a significantly deeper treatment than either of the RF options.